Instead of using Botox to give you an ‘open-eye’ effect, consider using our needle-free eye facial that goes a step beyond the usual massage and cream. Powered by Sygma Lift’s HIFU waves to tighten and lift droopy skin, enviable results are cumulative over time. 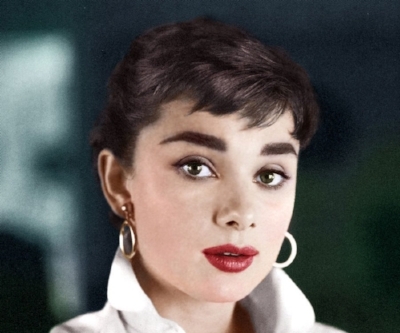 Named after Audrey Hepburn, who was renowned for her graceful aging amongst other things, this facial focuses on building a good, resilient skin foundation from bottom up. Before you take the plunge with injectables, consider rejuvenating your skin and saturating dermal layers with youth-enhancing, health-boosting vitamins. This age-defying treat will bring lacklustre complexions back to life. If you are looking for a skin lift in a facial, look no further. 24K Uplift is one of the most requested facials on our armamentarium for a reason. It actually lifts skin using ultrasound, going beyond what a normal facial delivers, but without pain and downtime. The advantage of this hybrid facial designed by Dr Kenneth Lee, medical director of SW1, is that the results do not stagnate but are synergistic when paired with other aesthetic therapies such as Ulthera and Thermage. Our neck and jaw is one of the most neglected areas on our bodies, yet it is one of the first to give our age away. When was the last time you put neck cream? Using Exilis’s radiofrequency waves, Resilience Lift does exactly what its name says--- gives your neck and jaw skin resilience and suppleness that ensures whichever way the camera snaps, you look good from every angle. Not everyone wants Kylie Jenner-inspired lips. If you are looking to perk your lips by refreshing the dull layers and infusing it with vital vitamins that will help it stay hydrated for weeks, Lip Fabulosity is the answer for you! For more details about any of the above facials, please call +65 68178888 or book here for an appointment.